This post contributes to the rich film-noir blogathon currently hosted by Ferdy on Films and the Self-Styled Siren. Funds donated by clicking on the image below will go to the Film Noir Foundation. Donors are eligible for prizes, but the real prize is getting to help restore the 1950 film The Sound of Fury—and getting to read all the great posts the blogathon is attracting! 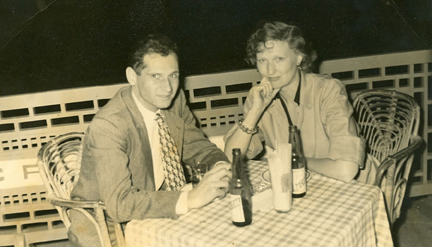 When as a child I first visited Paris with my godmother I was astonished to find that many French people were aware of the relatively obscure place in which she lived, Key Largo, Florida. 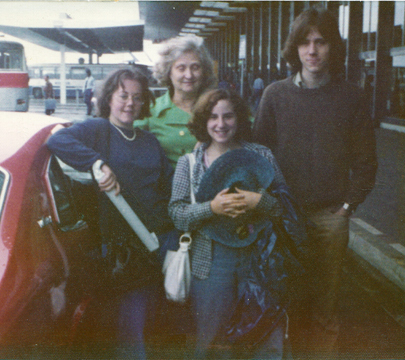 The reason for this familiarity was not a knowledge of U.S. geography but a knowledge of American film history. As early fans of classic directors like John Huston and as countrymen of the critics who invented the term “film noir,” the French knew and loved Huston’s 1948 noir gangster movie set on, partly shot on, and named after my godmother’s home Key. Key Largo always merits a visit. It grips today’s viewers yet remains a true product of its time. 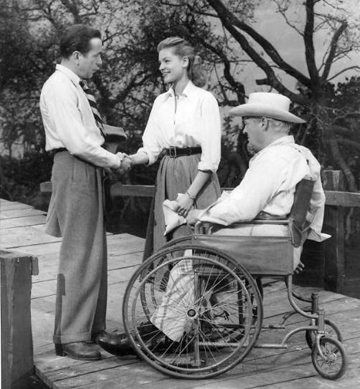 A melodrama of postwar malaise, the film takes place in and around the Largo Hotel, a resort owned by James Temple (Lionel Barrymore) and his widowed daughter-in-law Nora (Lauren Bacall). Humphrey Bogart plays Frank McCloud, a footloose former soldier who steps off a bus on Route 1 and becomes involved against his will in the hotelkeepers’ conflict with underworld kingpin Johnny Rocco (Edward G. Robinson) and his henchmen. In the course of an hour and 41 minutes, the disillusioned McCloud learns to commit himself to the cause of right—and to the cause of Nora Temple. He also braves a hurricane that changes everyone’s plans. The movie is a goldmine for social historians. It can be viewed as a metaphor for Americans on the brink of the Cold War, learning like McCloud to become involved in a new fight. The hero’s decision at the film’s finish to end his rootless existence and settle down with the Temples also mirrors our culture’s postwar emphasis on the importance of home as haven. 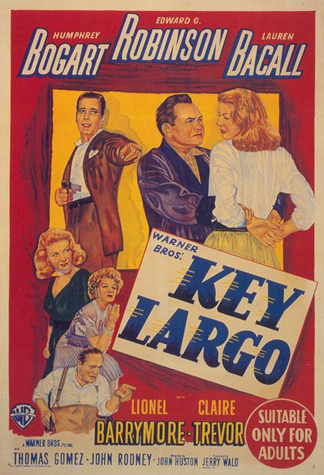 Key Largo is more than just a story for its time, however. It is a lush, well paced picture with glorious black-and-white photography by Karl Freund. It is also a primer in American film acting, featuring a range of diverse yet complementary styles. 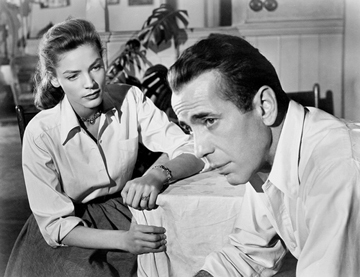 On one end of its spectrum are the minimalist Bogart and Bacall, whose faces and voices come across as almost expressionless. Only a couple of gestures and a few mutual looks indicate that Frank and Nora have fallen in love in the course of the film, but those gestures and looks are so well choreographed that they speak volumes. In contrast, Robinson delivers a powerful, cigar-chomping personification of evil, filling the screen with his body and voice. 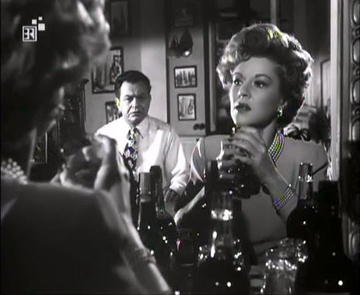 Claire Trevor joins him in the ham portion of the thespian spectrum with a magnificently campy performance as his character’s alcoholic, over-the-hill moll. 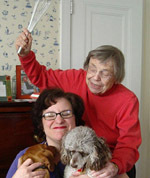 The role earned her an Academy Award. When she takes center stage to reprise her old nightclub routine in a creaky voice, Trevor’s character provides the film’s most moving moment. 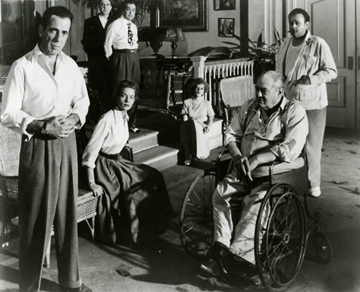 Every time I think about Key Largo the film I long to visit Key Largo the place. I dream of flying down to Miami, then traveling—like Bogey’s character—on a Greyhound bus along Route 1. I don’t exactly have the time or the funds to take this trip, however, so I settle for recreating my favorite tropical spot at home. 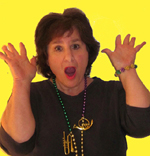 Since I’ll never look like Bacall or Claire Trevor my costume is a simple lei. Nevertheless, I do work hard to make food that features the Keys’ signature food, key-lime juice. 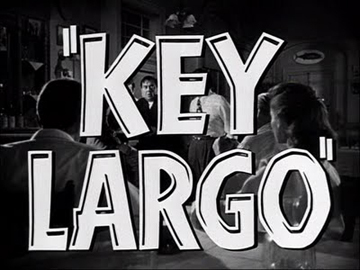 And of course I watch Key Largo. If you’d like to have your own Key Largo party, don’t make do with the juice of ordinary limes; it hasn’t got the subtle, rich flavor of the key lime. Many supermarkets carry Nellie & Joe’s key-lime juice. You may also order juice by mail from Floribbean; this company also sells such goodies as key-lime salsa, jelly, and savory oil. Or call my favorite key-lime store, the Key Lime Tree. This emporium, located (where else?) on Key Largo not far from my godmother’s home, offers a plethora of key-lime products, from beverages to fudge to fabulous soap, plus OF COURSE key-lime juice. 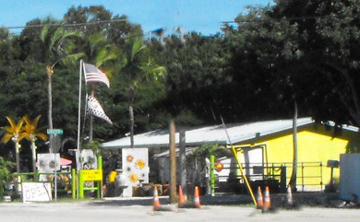 Last time I checked in, its owners would even ship out a small key-lime tree to help you add some scenery to your Key Largo bash. Settle yourself under the tree’s thorny branches; sip a key-lime beverage; and prepare to spend an evening with Bogart, Bacall, and company. 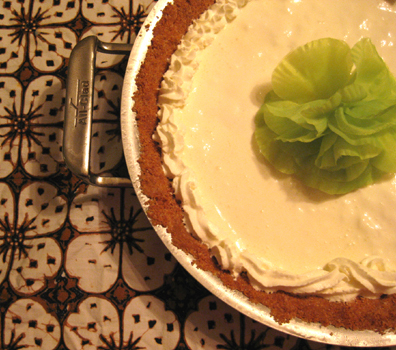 I have already featured several key-lime recipes on this blog. 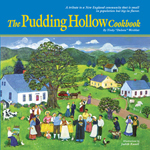 These include key-lime chicken; tropical fruit salsa; key lime-white chocolate chip cookies; and everybody’s favorite, key-lime pie. I thought readers might like a cocktail to accompany a viewing of Key Largo, however. What could be more appropriate for this stormy film than a hurricane? This tropical drink packs quite a wallop. 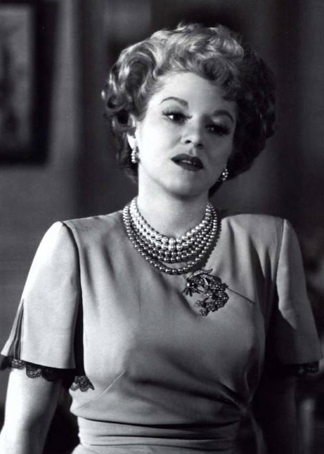 Claire Trevor’s Gaye Dawn (a PERFECT Florida Keys name! ), who drinks her way through the movie, would appreciate it, although she doesn’t at all appreciate the natural disaster from which it derives its name. If you cannot find passion-fruit syrup in your local grocery or liquor store, it may be found online at Amazon and other sites. Some bartenders take a shortcut and substitute 1/2 cup of Hawaiian Punch. This doesn’t strike me as appropriate for a celebration of film noir, however. Combine ingredients in a cocktail shaker with ice. Strain into a cocktail glass. Serves 1.